*Universal’s N.W.A. biopic “Straight Outta Compton” has finally found its MC Ren and DJ Yella. 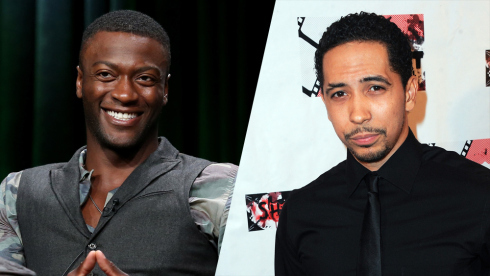 Aldis Hodge of Amazon.com’s “The After” will play MC Ren aka Lorenzo Jerald Patterson, and “The Walking Dead‘s” Neil Brown, Jr. will play DJ Yella aka Antoine Carraby. They join O’Shea Jackson Jr., Corey Hawkins and Jason Mitchell as Ice Cube, Dr. Dre and Eazy-E, respectively. F. Gary Gray will direct the biopic, about the rising 1980s gangsta rap group.